Cilantro Lime Slaw, quick pickled cucumbers, all the fixings. 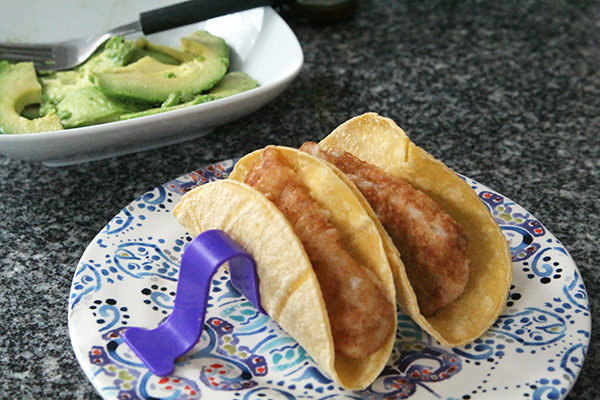 Why not make this Tuesday a fish taco Tuesday in your house? It’s a delightful way to enjoy a meatless dinner. Corn tortillas, warm crispy fish, a variety of cool toppings … ahh, fish tacos are delightful. 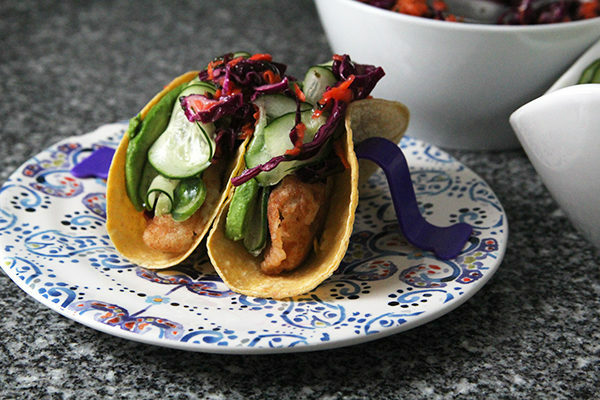 An alternative to the beef ones we eat with more frequency than I should admit, fish tacos are perfect for meatless meals on Mondays or Lenten Fridays or whenever you feel driven to have them. They’re also delightful for Taco Tuesday. I don’t know about you, but Taco Tuesday is definitely a thing for us. We love gathering around the table with tortillas, fillings and all the fixings for a fun dinner. Often, we have the same mix on our taco bar — cilantro lime rice, homemade guacamole, beef with homemade taco seasoning, shredded cheddar, salsas, lettuce and tomatoes — but sometimes it’s nice to change things up. 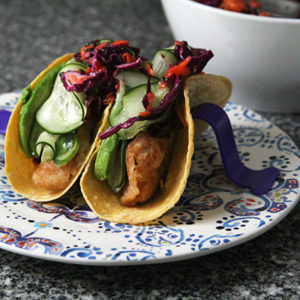 These fish tacos are a great alternative to the usual taco routine. 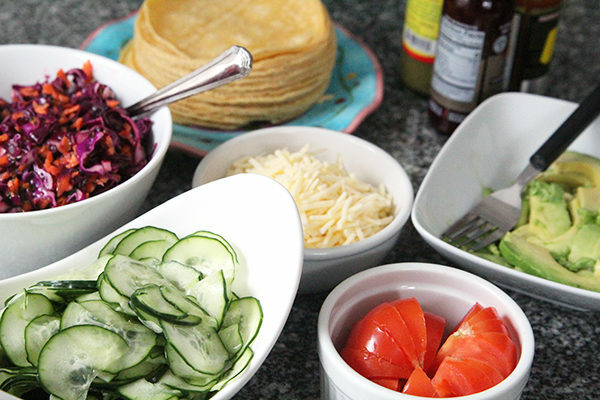 And then are even better served with a fresh taco bar, filled with all sorts of toppings — including homemade quick pickled cucumbers and a refreshing slaw. 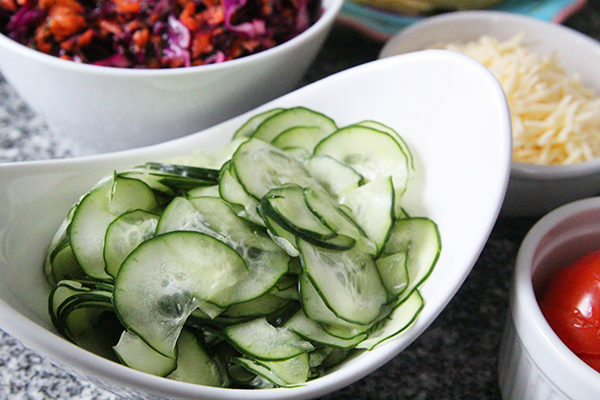 Quick pickled cucumbers are a cinch to make with just three ingredients and about 10 minutes of sitting before you dig in. So tangy and fresh! 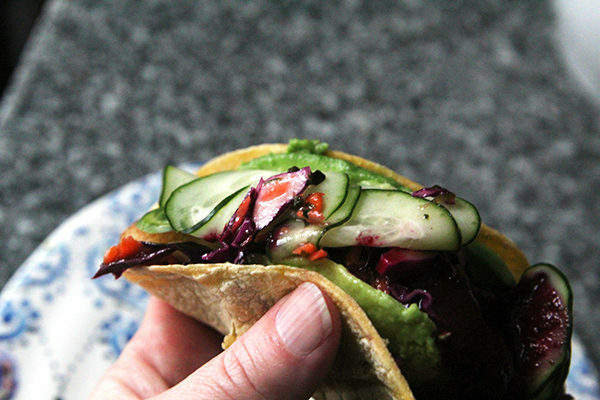 Meanwhile Cilantro Lime Slaw is a refreshing salad that pairs beautifully with these tacos. 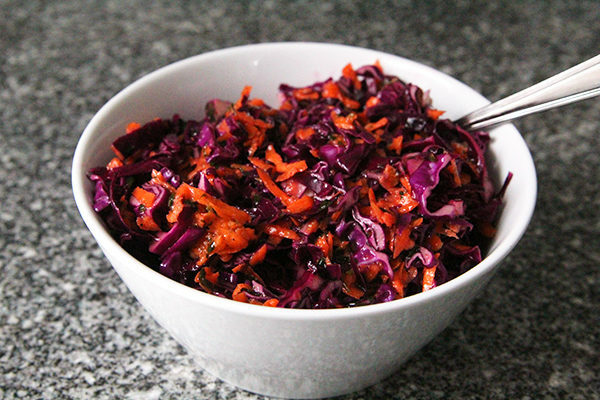 Thinly sliced red cabbage is mixed with shredded carrots and a tangy vinaigrette made with lime juice, honey, cilantro, olive oil, salt and pepper. It takes just a few minutes to whip up, and then also needs to sit for about 10 minutes before you dig in. We are a fish-loving family — not just at Lent but all year — and incorporate it into our diet as often as possible. 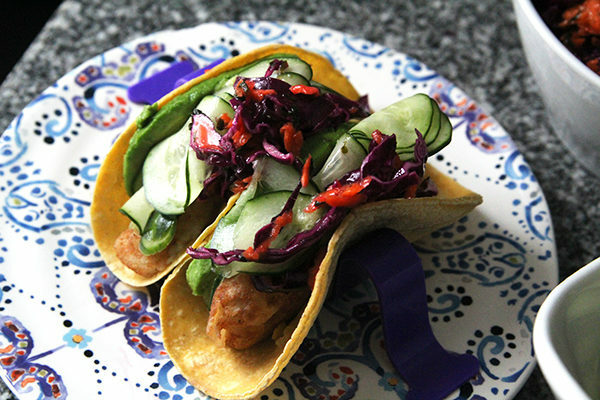 Gorton’s Beer Battered Crispy Fillets make it so easy to enjoy fish tacos at home whenever we feel like it. With a quick and easy preparation, the fillets can be ready in as little as 10 minutes. And the mild flavor is perfect for tacos since it’s compatible with so many toppings and flavors. 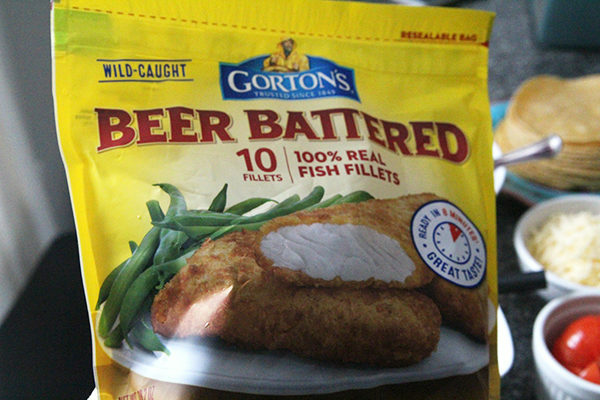 I’ve eaten Gordon’s fish products, which are readily available at Walmart, since childhood. It’s a familiar brand that’s so convenient. Perfect for dinners on the go, I love how easy it makes getting seafood into our diets. And with so many products available, it can be a solution for any meal. 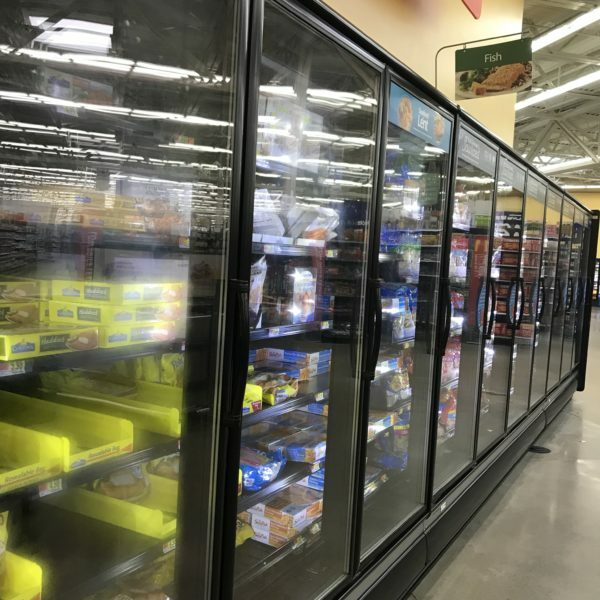 Plus, there’s the new Simply Bake line which includes the convenient Gorton’s Simply Bake Roasted Garlic & Butter Salmon, made with high-quality ingredients. For salmon lovers like my daughter, this is an awesome food to keep on hand. 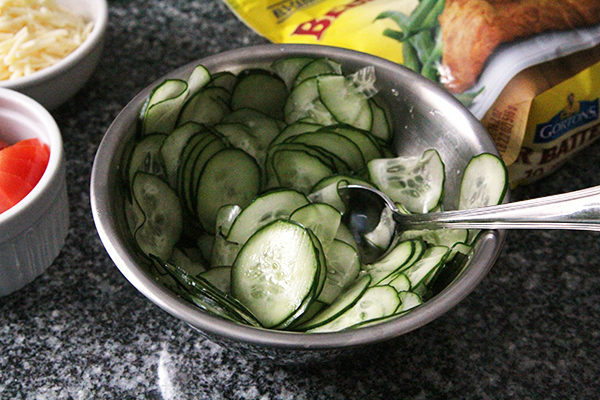 Quick pickled cucumbers – finely slice 1 cucumber (use a mandolin!) and mix with 1 tablespoon seasoned rice vinegar and 1/2 teaspoon salt. Stir well. Let sit for 10 minutes. Enjoy. 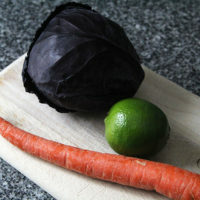 In a mixing bowl, add the cabbage and carrots. Set aside. 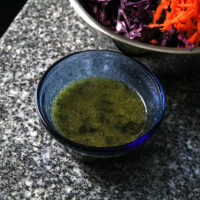 In a small mixing bowl, whisk together the lime juice, olive oil, honey and cilantro. Season with salt and pepper, as desired. 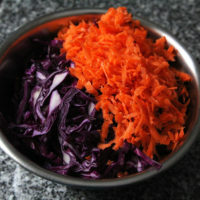 Pour the dressing over the cabbage and carrots and stir well to combine. Let sit for 10 minutes and stir again. Taste, and adjust seasonings as needed. Enjoy! You can also connect with Gordon’s on Pinterest, Twitter and Instagram. I don’t love fish, but this slaw would be prefect on my carnitas tacos too!